An early jet fighter with swept wings, the Mikoyan Gurevich MiG-15 proved to be a highly capable and highly successful aircraft around the world. 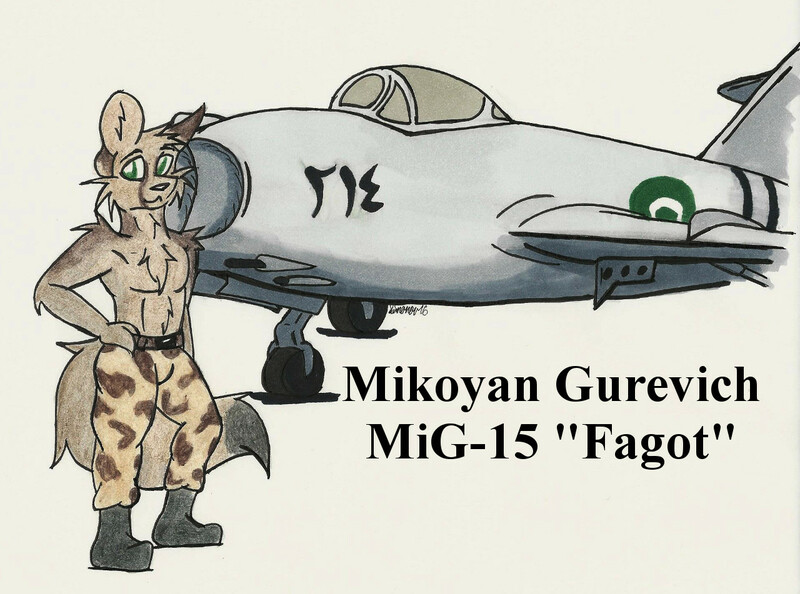 Given the reporting name "Fagot" by NATO, the MiG-15 would take part in the first jet-on-jet combats when Soviet, Chinese, and North Korean aircraft fought American Sabres and other aircraft. The MiG's reign in the sky over the northwestern portion of North Korea even resulted in the region being given the moniker "MiG Alley." The MiG-15 would also see action during the Suez Canal Crisis in the hands of the Egyptians (where it faced off with Israeli Dassault Ouragans and Mysteres) and during clashes between Communist China and Taiwan (where it faced off with Taiwanese F-86 Sabres). In fact, a Taiwanese Sabre claimed the first air-to-air kill with an AIM-9 Sidewinder against a Chinese MiG-15. With over 12,000 produced by the USSR and another 6,000 produced under license by other nations, the MiG-15 is one of the most widely produced jet aircraft and continues to see service as a trainer aircraft in North Korea. The aircraft saw service with approximately 44 different countries, including the Soviet Union, Vietnam, Egypt (as illustrated), Cuba, Pakistan, and North Korea. License-built versions of the MiG-15 were also manufactured in Czechoslovakia (S-102, S-103), Poland (Lim-1 and Lim-2 as well as two-seater SB Lim-1 and SB Lim-2), and the Peoples Republic of China (JJ-2). Over 40 MiG-15s, including Chinese and Polish variants, are currently registered as privately owned aircraft in the United States.